This week, Asian American and Pacific Islander Heritage Month celebrations took us out into the community where we “had a ball” with the staff of Johnson Space Center and United Airlines Houston. 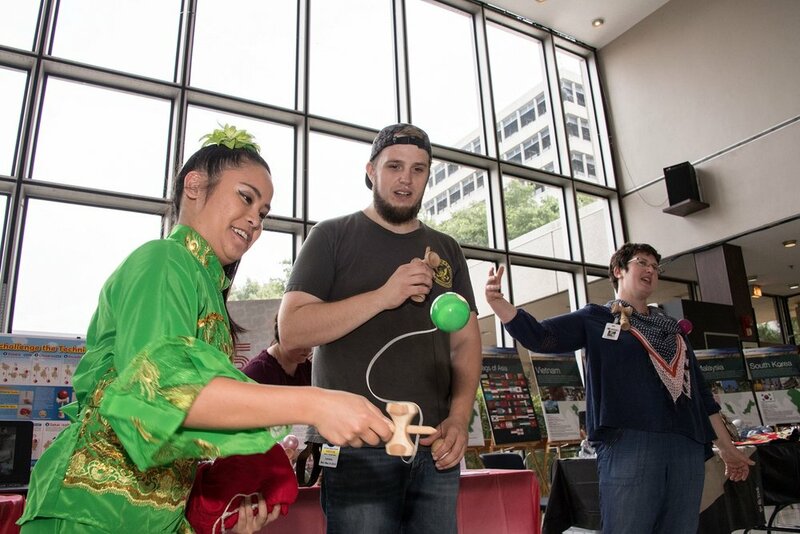 With the generous support of KendamaUSA and KendamaUSA-Texas leader Michael Martin, we were able to showcase the art of the traditional Japanese toy kendama through aerospace-themed tricks such as airplane, zero gravity, space walk and lunar lander. 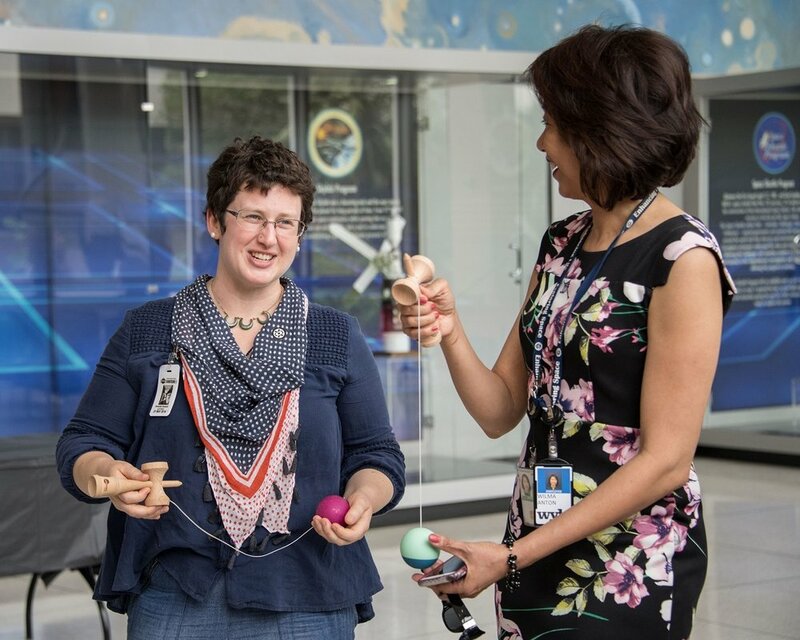 We also took the opportunity to share how the kendama has played a role in NASA's International Toys in Space program. Many thanks to all who stopped by to give kendama a try, and congratulations to our KendamaUSA Classic Kendama winners - JANE CLARKE and DIPAL PATEL!